Obituary for Margaret Mary Coppler | McDermott Funeral Home, Inc.
Age 85, of Kennedy Twp, died Saturday November 24, 2018. 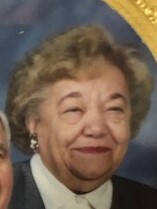 Beloved wife of the late John; dear mother of John (Elaine), Mark (Terri), Carol Yeager (Joe) and David(Lynn), and late Diane Elhard; proud grandma of 13 grandchildren and 17 great grandchildren sister of Pete (Phyllis) and the late Paul (Joan). Friends welcome 2-4 and 6-8 p.m. Monday only at the McDERMOTT FUNERAL HOME, INC., 334 Forest Grove Rd., Kennedy Twp., where prayers of transfer will be offered 9:30 AM TUESDAY, followed by the Mass of Christian Burial at 10 AM in St. Malachy Church. The family suggests memorial donations may be made to Oakleaf Personal Care Home, 3800 Oakleaf Road, Pittsburgh, PA 15227.